It’s like MiddleEasy but for your ears. 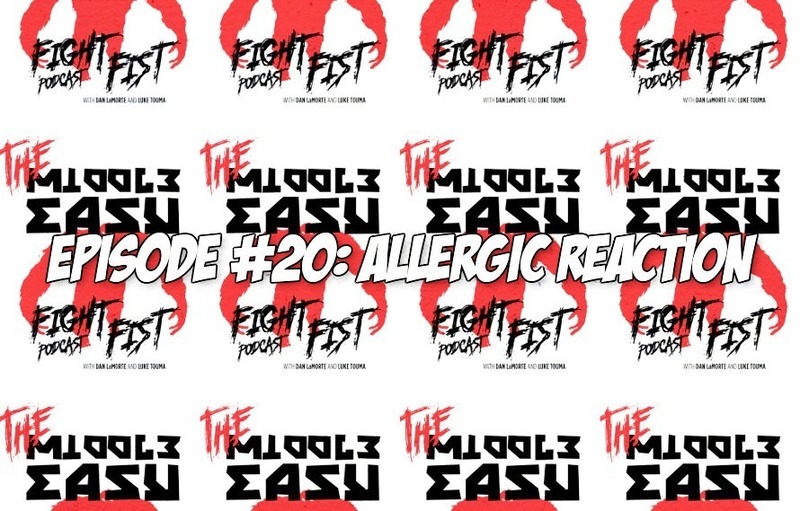 Thanks to comedians Dan LaMorte, Luke Touma and Diego Lopez episode 20 of MiddleEasy Fight Fist Podcast is here. Holy Milestone, 20 episodes baby! Dan and Diego were alone this week as Luke is in LA. He picked a good day to go seeing as the world almost ended an hour before we taped this and Dan had to drive through it. But alas, we had fun. We talked about life and comedy a bunch. We also broke down UFC 224, talked about Bellator’s remaining heavyweights and fangirled over Lomachenko. Enjoy and leave a review friends!